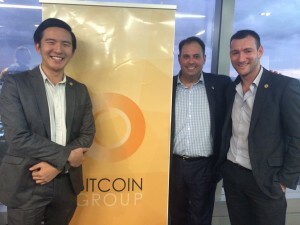 Bitcoin Group’s CEO Sam Lee and Business Development Manager Martin Davidson were in attendance at Ernst and Young’s offices on Exhibition Street, Melbourne, to show support along with a packed house for the ‘FinTech Melbourne’ event on Tuesday 1st December with Phillip Dalidakis, Minister for Small Business, Innovation & Trade. Minister Dalidakis spoke about what the Victorian Government is doing to foster innovation in the fine State of Victoria, including specific initiatives to support FinTech. The Minister has just launched Victoria’s Innovation Policy and in just three months of holding the Small Business, Innovation & Trade portfolio, Minister Dalidakis has spent a considerable amount of time with local startups, has visited innovation hubs in the UK and US, and is bringing major events like SydStart to Victoria. The Minister has been closely watching Melbourne’s Fintech community – you may have even noticed @philipdalidakis tweeting #fintechMelb. The presentation was followed by audience Q&A. One of the topics discussed was on the huge imbalance of the genders in the FinTech start up space. How can more women can be engaged to join the FinTech start up community? 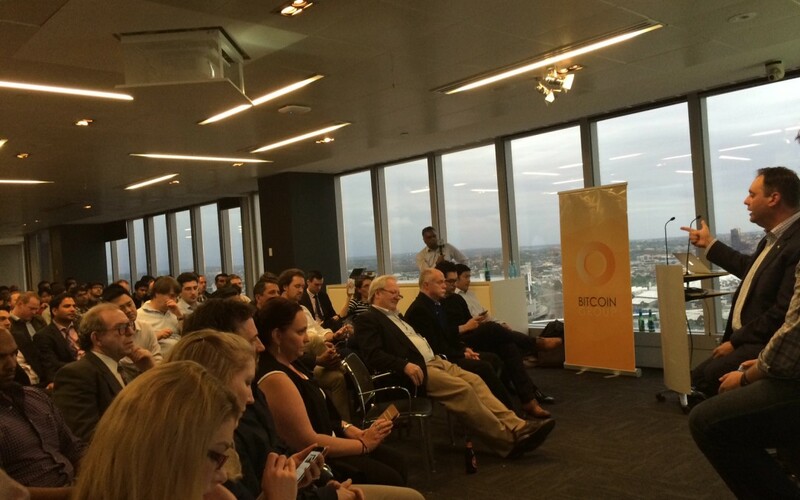 Bitcoin Group continues to be impressed by the quality of events held by the ‘FinTech Melbourne’ Meet Up group and look forward to more interesting and informative events in 2016.